A critical part of our mission to make the world more open and connected is providing a secure community for everyone who uses Workplace by Facebook. Decisions we make always involve answering questions upfront about how a new product, feature, or process impacts security and privacy. Every decision we make is reviewed with this lens. It’s simply part of our culture. 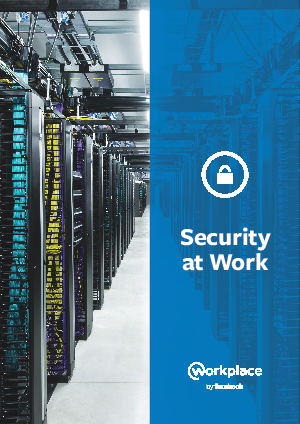 Download this whitepaper now to see how Workplace by Facebook ensures that the security of information is at the very heart of everything we do.